Lefkada, or Lefkas is a Greek island in the Ionian Sea on the west coast of Greece, connected to the mainland by a long causeway and floating bridge. The principal town of the island and seat of the municipality is Lefkada. It is situated on the northern part of the island, approximately 20 minutes by automobile away from Aktion National Airport. The island is part of the regional unit of Lefkada. 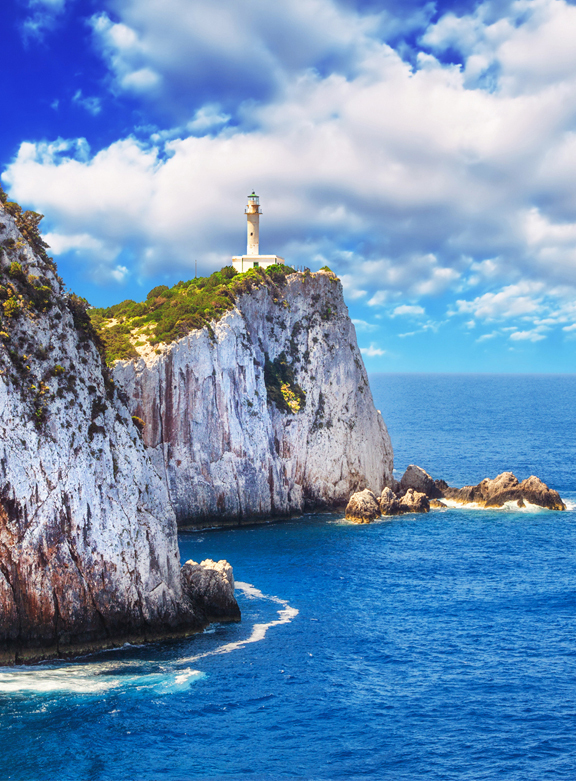 The myth about Sappho’s suicide at Cape Lefkada is related to other myths linking the island to the ancient Greek goddess of love, Aphrodite, and to Odysseus, the hero of Homer’s Odyssey. The German archaeologistWilhelm Dörpfeld, having performed excavations at various locations of Lefkada, was able to obtain funding to do work on the island by suggesting that Lefkada was Homer’s Ithaca, and the palace of Odysseus was located west of Nydri on the south coast of Lefkada. There have been suggestions by local tourism officials that several passages in the Odyssey point to Lefkada as a possible model for Homeric Ithaca. The most notable of these passages pushed by the local tourism board describes Ithaca as an island reachable on foot, which was the case for Lefkada since it is not really an island, that it was connected to the mainland by a narrow causeway. According to Strabo, the coast of Acarnania was called Leucas in earlier times. The ancient sources call Leucas a Corinthian colony, perhaps with a Corcyraen participation.During the Peloponnesian War Leucas had joined the Spartan Confederation.